Today I am excited to share my first project as a JBS Ambassador with you all! 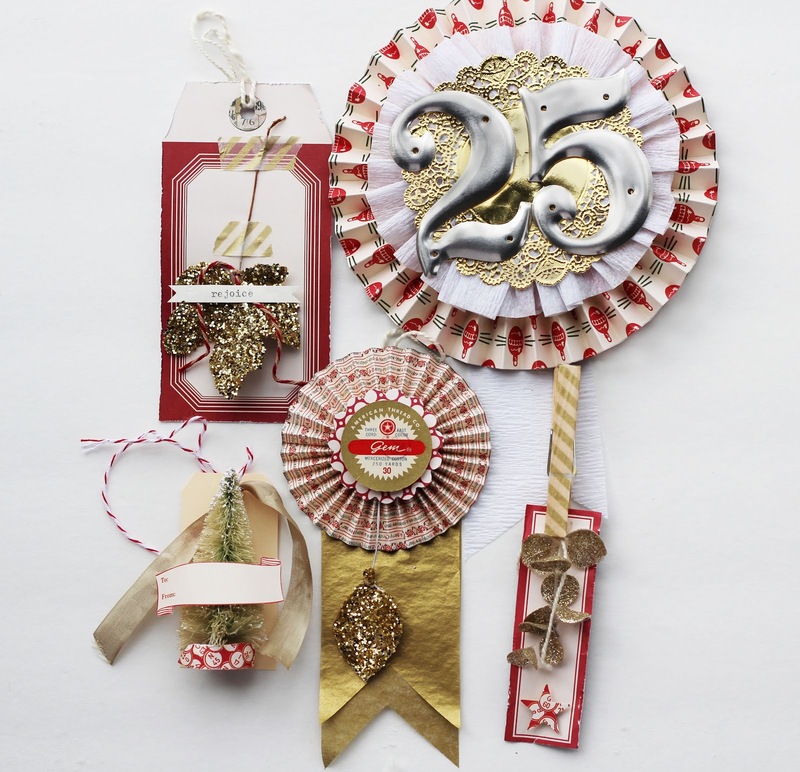 I used the Jenni Bowlin Studio Christmas 2012 line plus a few other JBS goodies (new and stashed) to make a set of 25 Christmas tags. 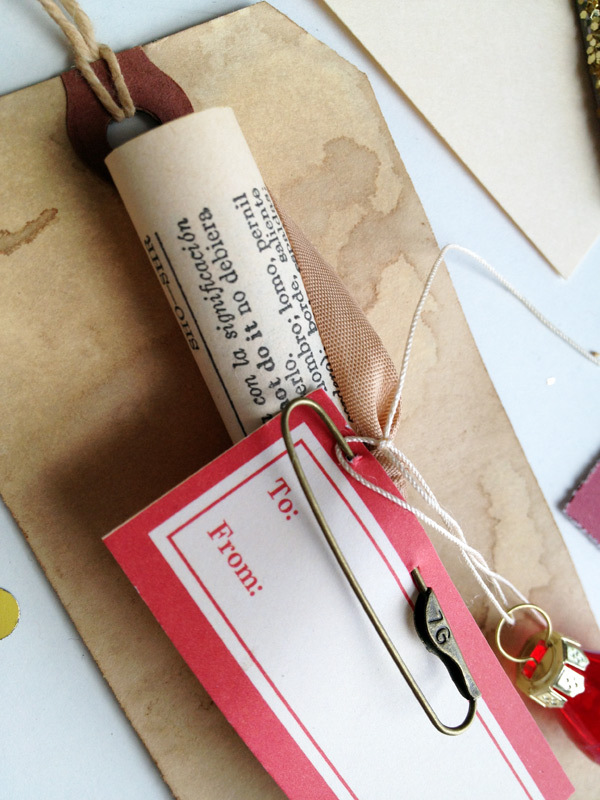 They are heavily vintage-inspired and use vintage supplies in addition to JBS supplies. You can see the set of 25 Christmas Advent tags in its entirety the JBS Inspiration blog, with the remainder posted here. Plus, there are a few tasty close-up detail shots after the jump. 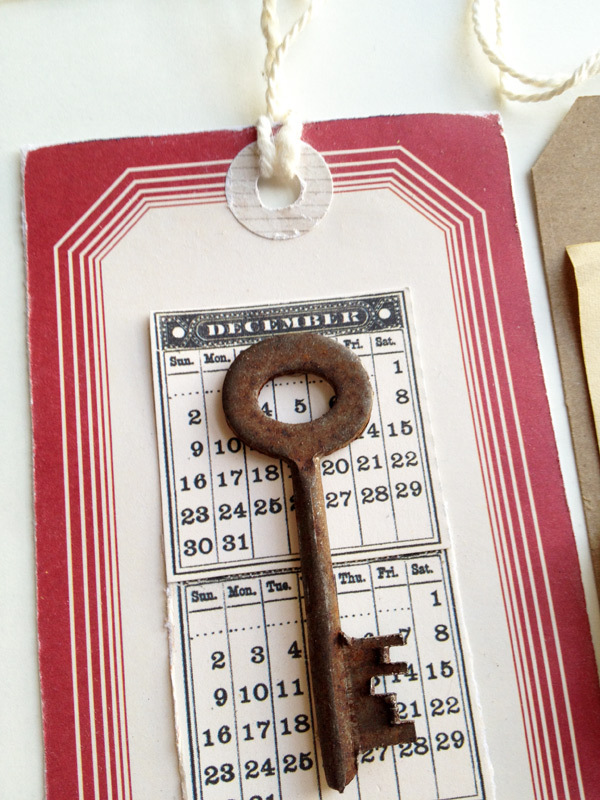 The tag on the left is assembled on a red tag from the Tags Sheet Perforated Paper, with mini December calendars layered under the antique rusty key. 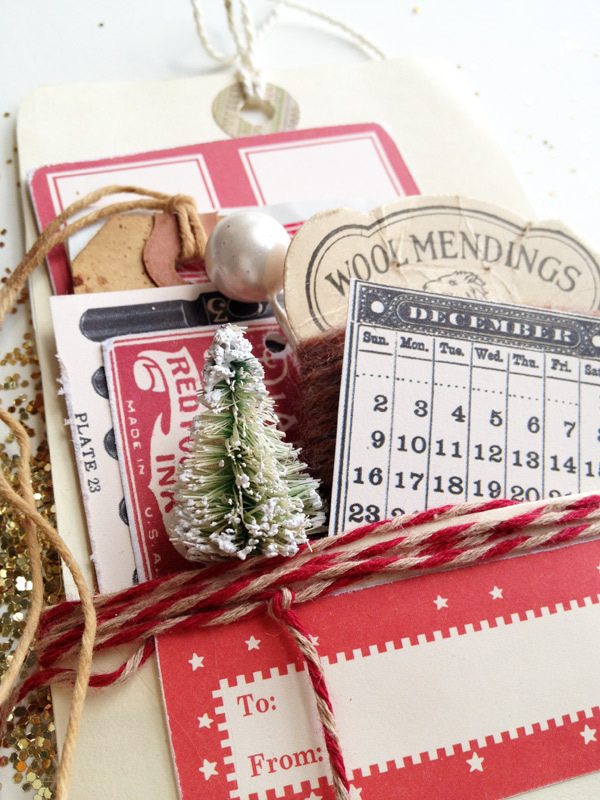 I love these mini calendars from the Quad 12x12 Christmas paper -- they are just a perfect little embellishment all on their own! 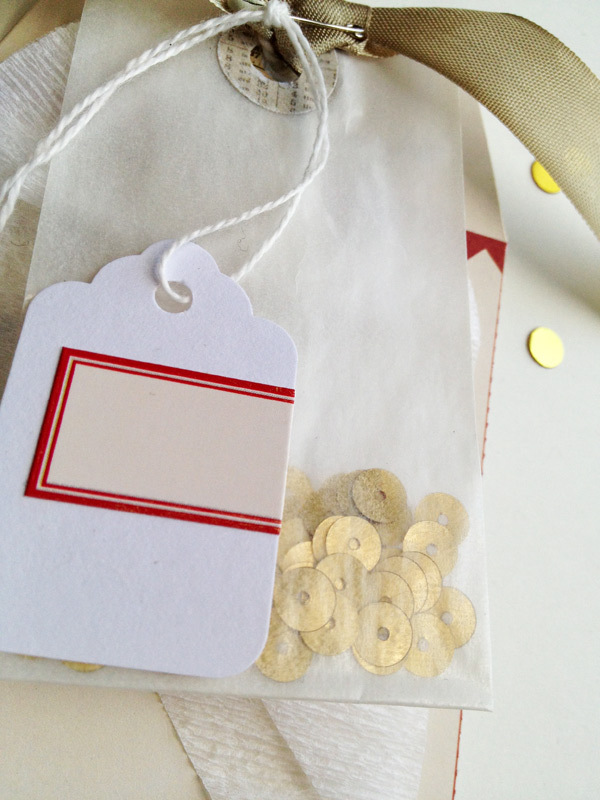 I love the way this JBS cardstock feather looks on this tag! Even though feathers don't seem inherently Chrismas-y, I think their delicate and airy nature work well with Christmas decor. 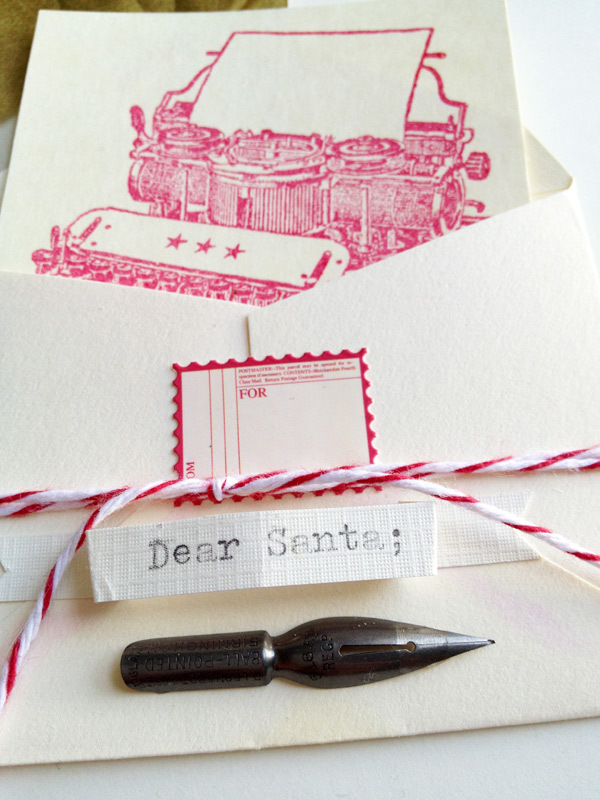 Plus, the red on cream text feels so merry and festive! 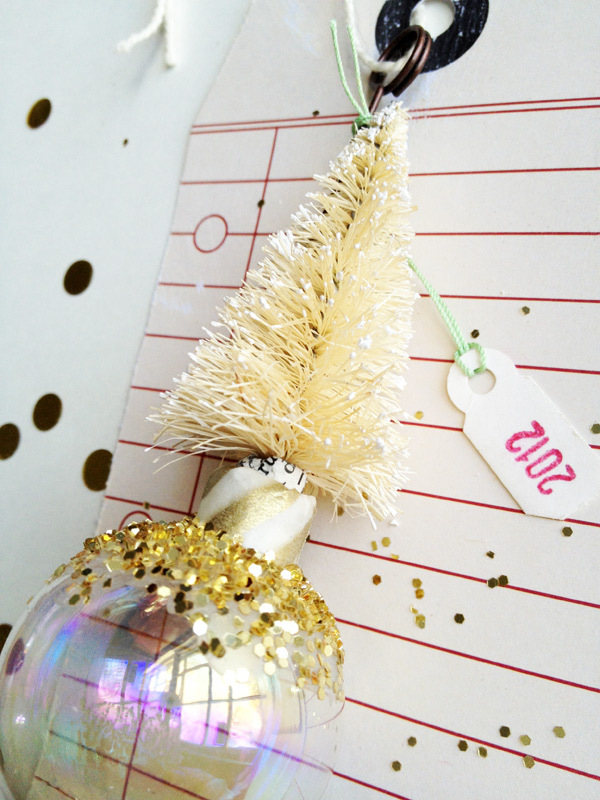 I removed the hanger from a small glass ornament and planted a bottle brush tree in it! I dusting of glitter, and a bit of gold airmail stripe washi tape wrapped around the ornament neck was a fun and easy way to finish off this piece. 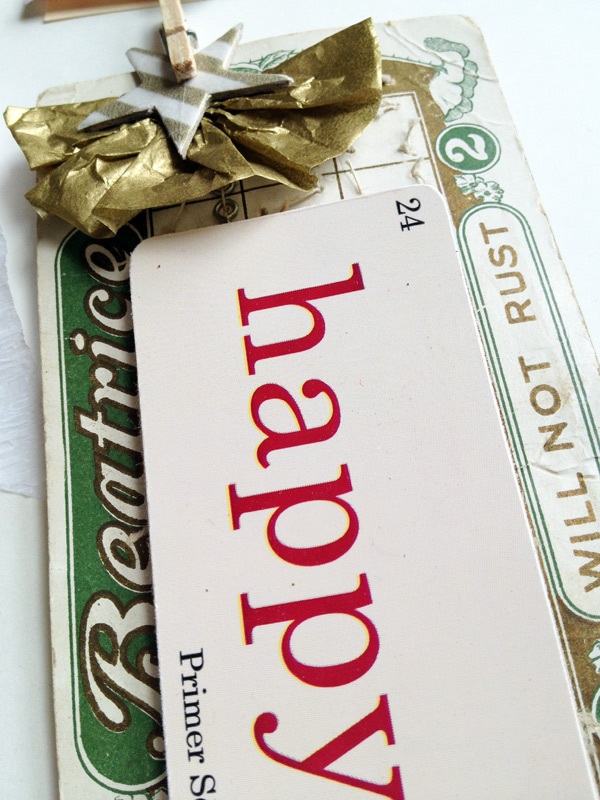 The red and white tag on the right is yet another piece from the Tags Perforated Paper. See? I told you it was handy. 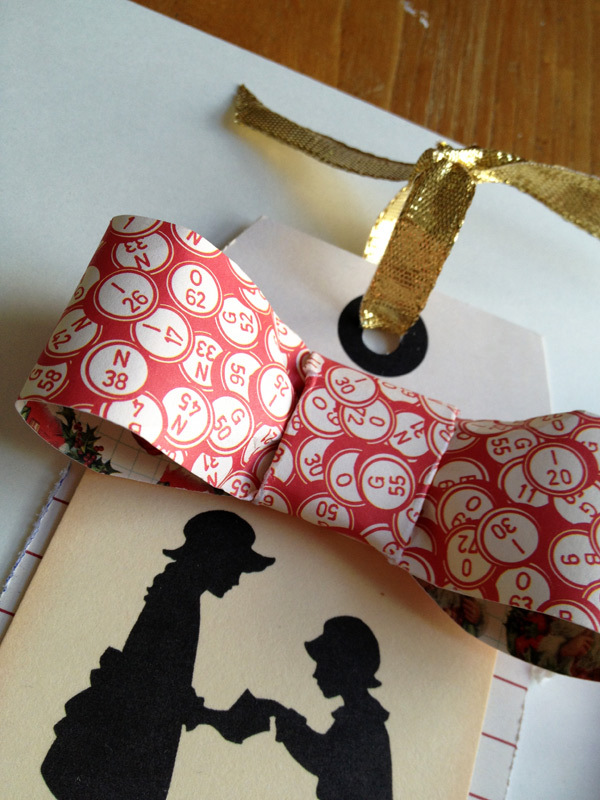 ;) The little red and white gift tag pinned to the book page scroll on the bottom tag is from the JBS Christmas 2012 Accessory Sheet. 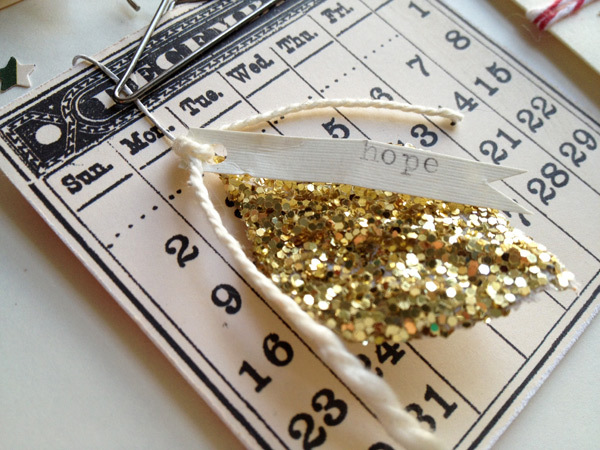 These would be fun additions to any December Daily or an inclusion in Project Life during the holidays. There is lots of gold at work on these tags. 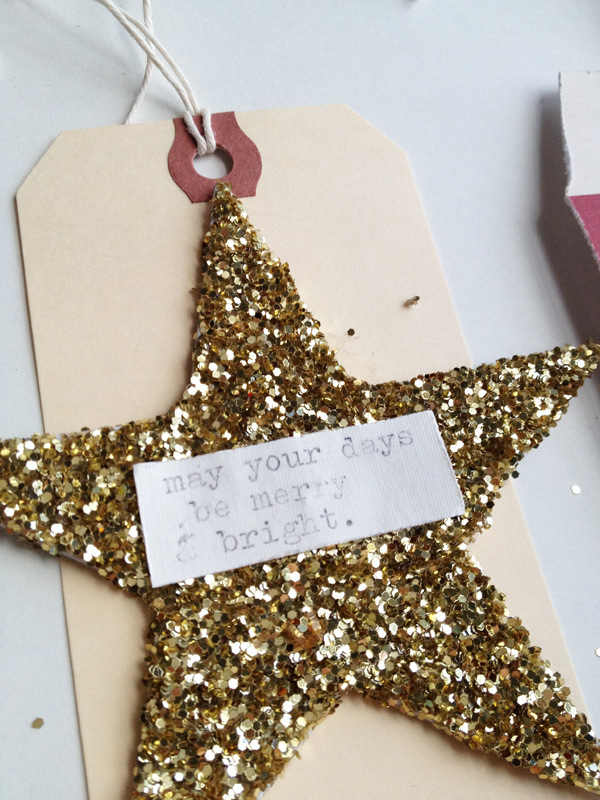 The large Jenni Bowlin Studio chipboard star and the faux foliage are both coated in gold German glass glitter. Nothing sparkles and shines better! I just used two small pieces of my all-time favourite washi tape to hold the leaf in place. And here are two fair ribbons! Well, one is pretty much a fair ribbon, and the other is a rather liberal interpretation of one! 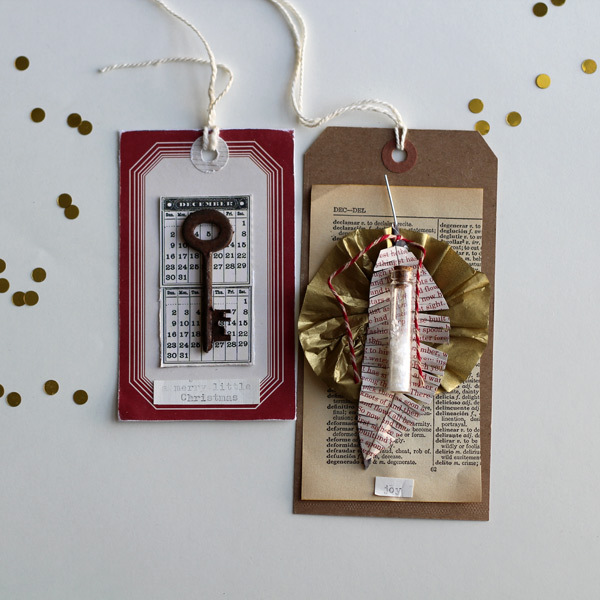 I used a home flashcard from the Magpie Hodge Podge sticker sheet as a stand-in for the ribbon centre and added vintage seam binding and gold crepe paper tails. 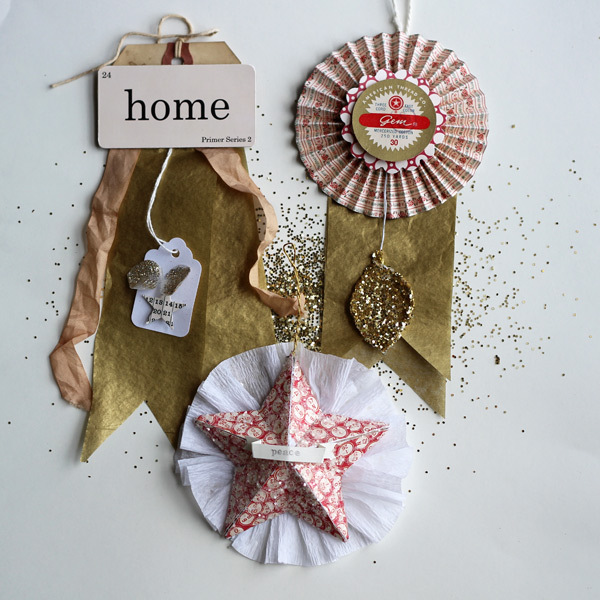 The fan ribbon is made from a 6x6 piece of Christmas Ribbon paper from the Quad Christmas sheet. (Dimensions and measurements for cutting and folding are posted below). 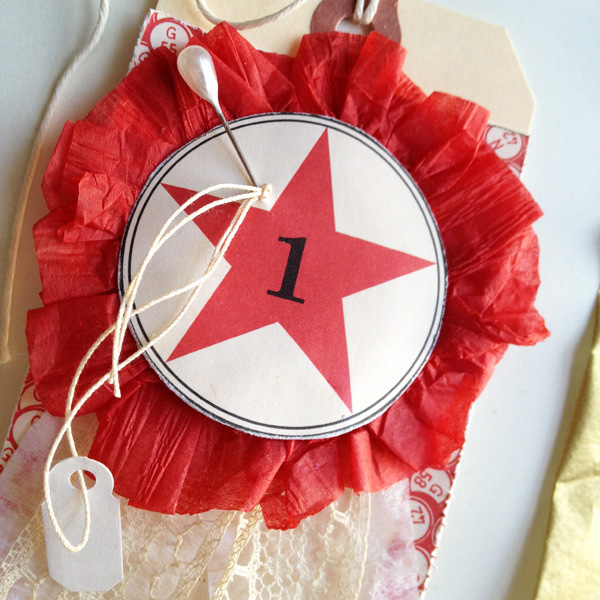 The centre is set with a scallop of red and white JBS paper, and a vintage thread bobbin label. 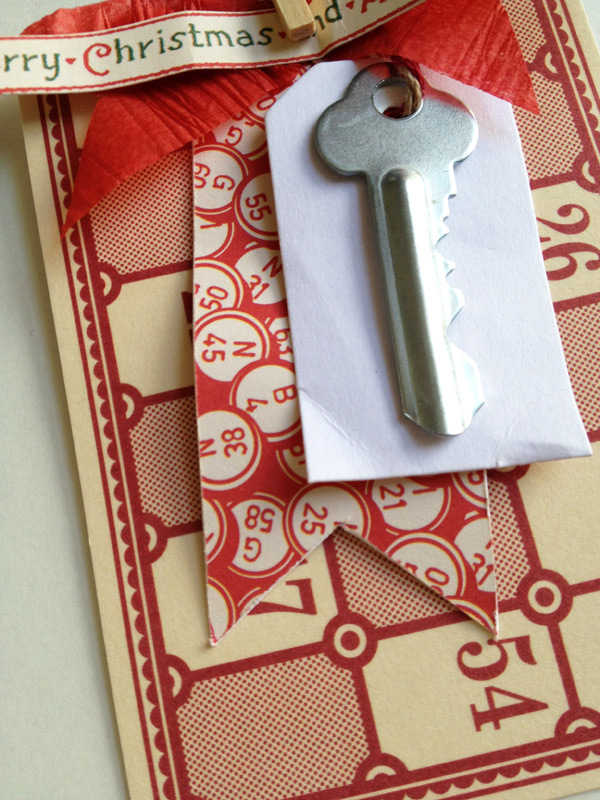 If you have any vintage milk caps from any of your Jenni Bowlin Studio kits, this would be a fantastic use for them! 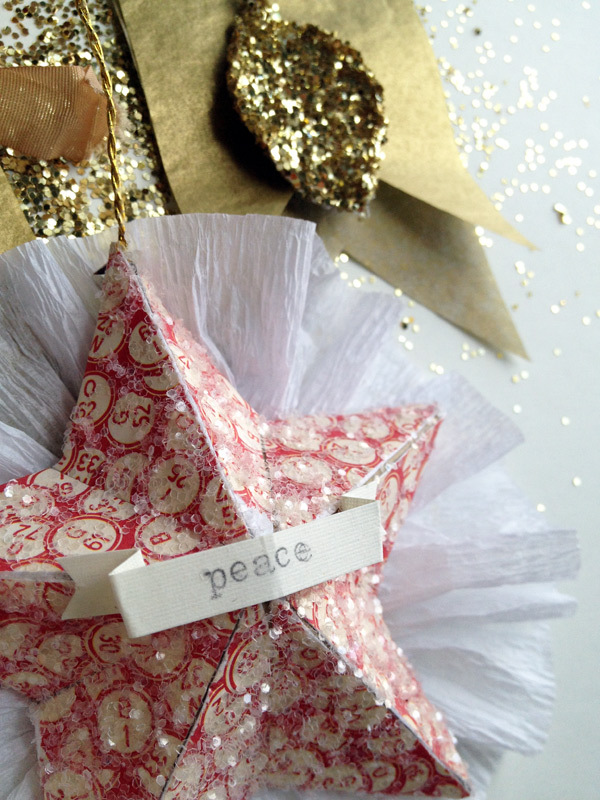 I covered a papier mache star with bingo chip paper from the Quad Christmas sheet, added some white chunky glitter, and a wee banner I typed peace on. Cut a 6x6 piece of patterned paper. Score it every 0.25 inches. 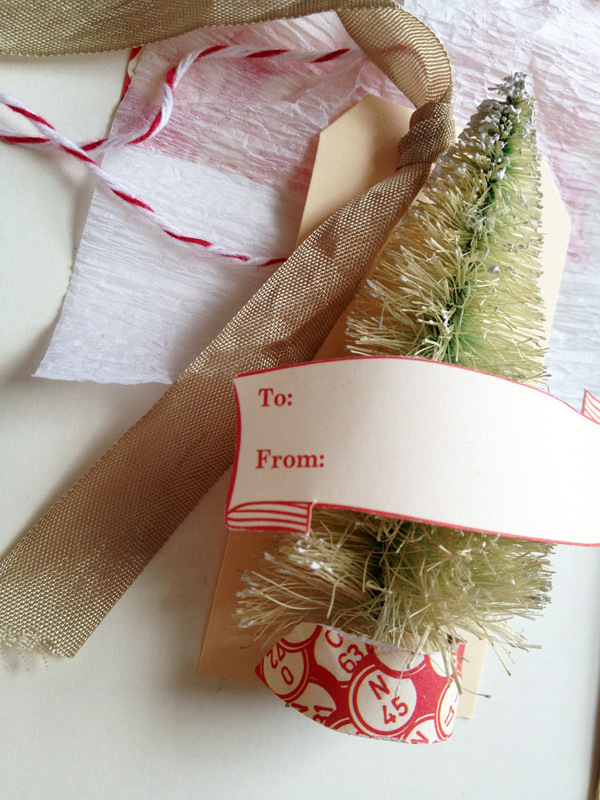 Cut the paper into 4 pieces that are 1.5 inches wide. You will use three of these pieces. Fanfold the paper back and forth along the score lines. Lay the folded pieces out in a row, and cut one of the scored edges off of ONE side of each. Then adhere them together in a long row. I use my ATG to stick the pieces together. Glue the two free ends together, to make a complete circle. At this point, your paper fan will look kind of like a lampshade, and you may wish to put it either on your head, your cat's head, or your baby's head. Once you have had fun with your faux lampshade, stand it up on your desk or other flat work surface. The next part is frustrating, so you may wish to have a drink or two first. Carefully press the upper rim that is facing up inwards and down, so the entire cut edge meets in the centre. Add a lot of liquid or hot glue and adhere a small piece of paper over the centre of the fan. Flip it over and glue the other side for extra stability. 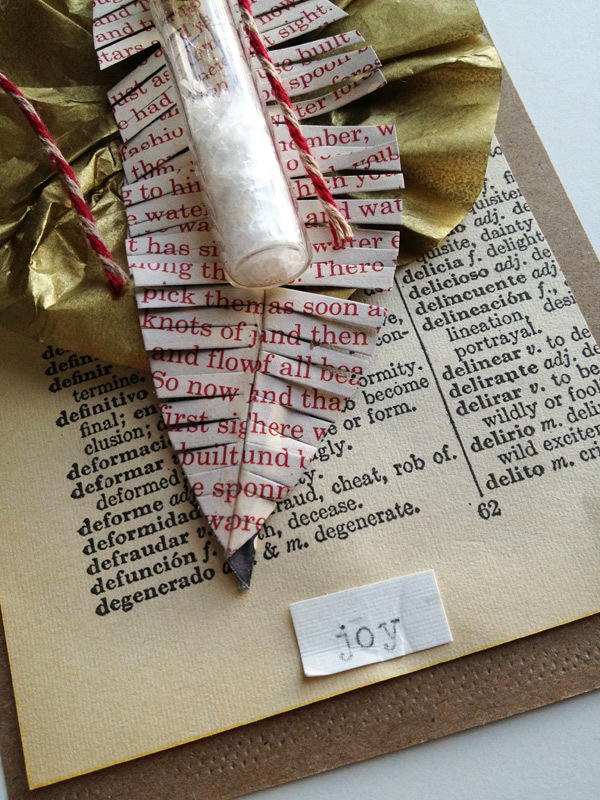 Rejoice and enjoy your folded paper fan (or paper rosette). 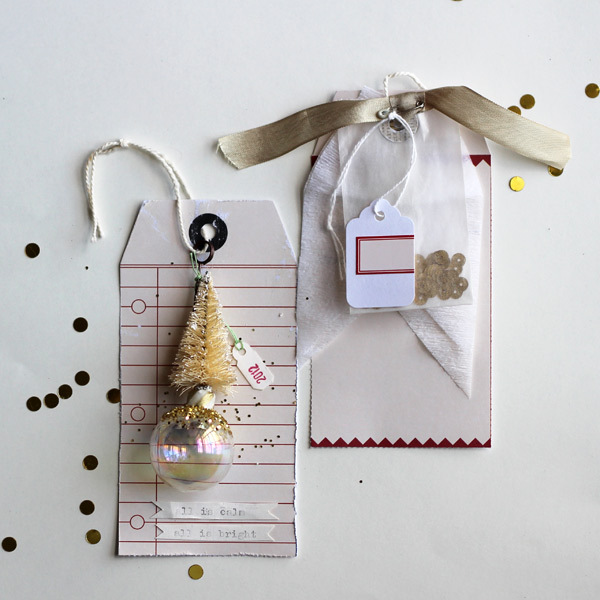 I slipped one of the Christmas Accessory cards into a mini paper bag embellished with a Jenni Bowlin Studio red label and a nosegay of white Christmas balls. 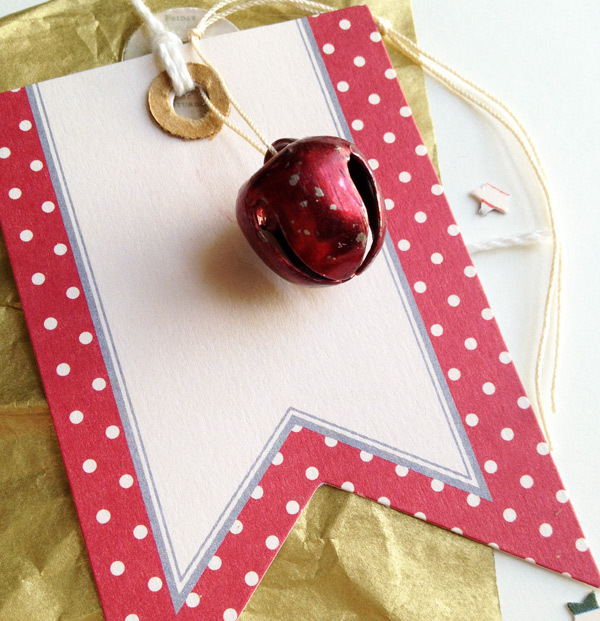 I think this would be a perfect way to attach a little gift card to a larger gift, or to present as a stand-alone present! 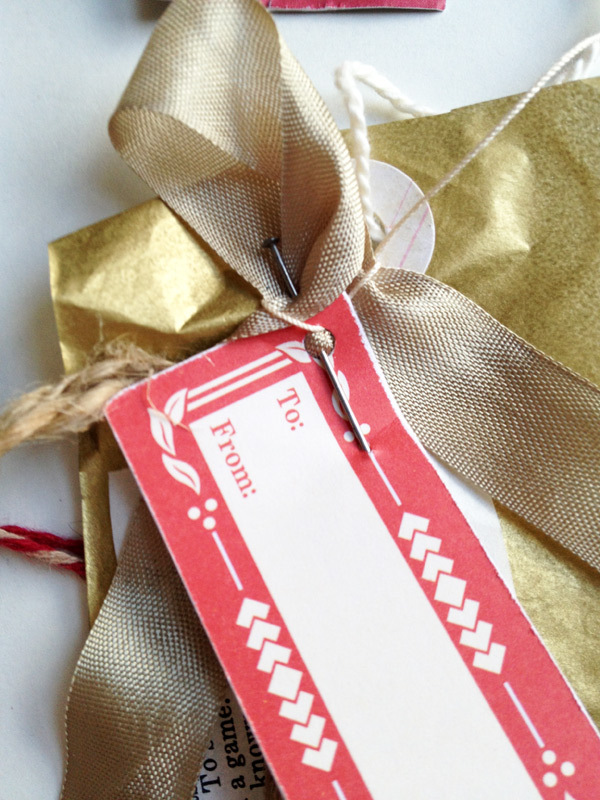 I can totally see a little tag-in-a-bag like this with a Starbucks gift card hung on a mug! 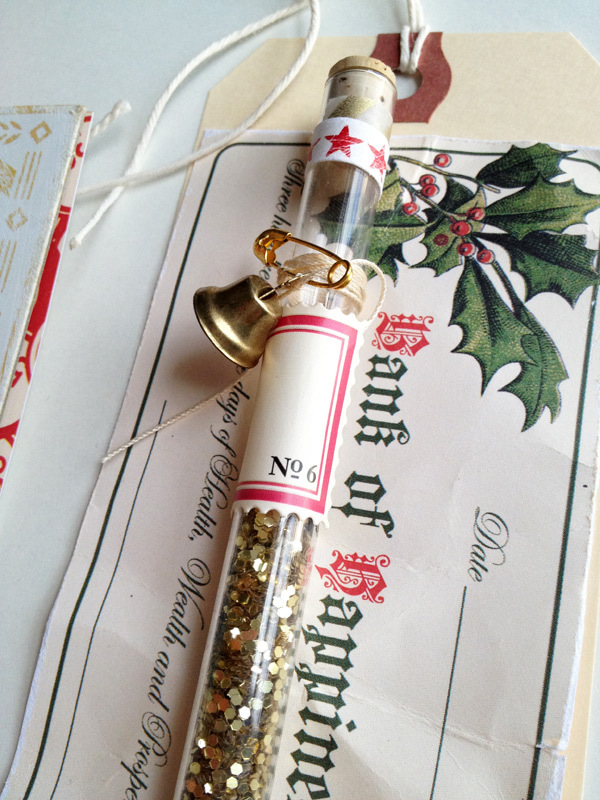 I stuffed a vintage library pocket full of some Christmas-y goodness. 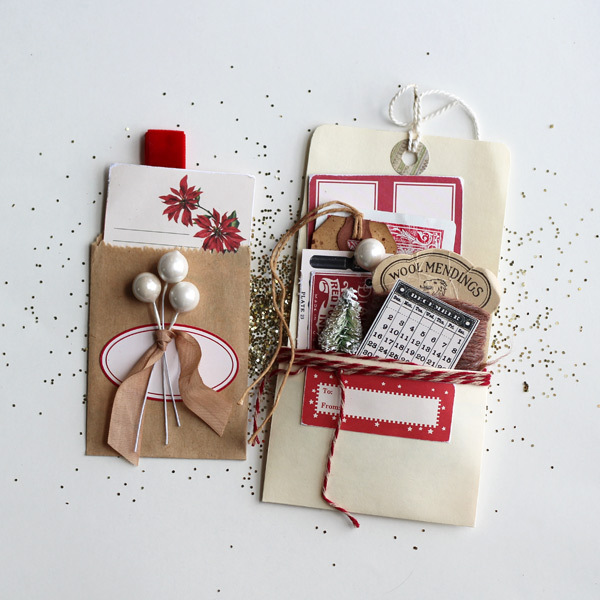 There are JBS Accessory Sheet labels, a pen nib illustration, a Diamond Red Ink label, a mini December calendar, and another Christmas 2012 gift tag. The mending wool is a lovely vintage piece I found in a thrift store years ago. It has lovely ink writing on the bottom. 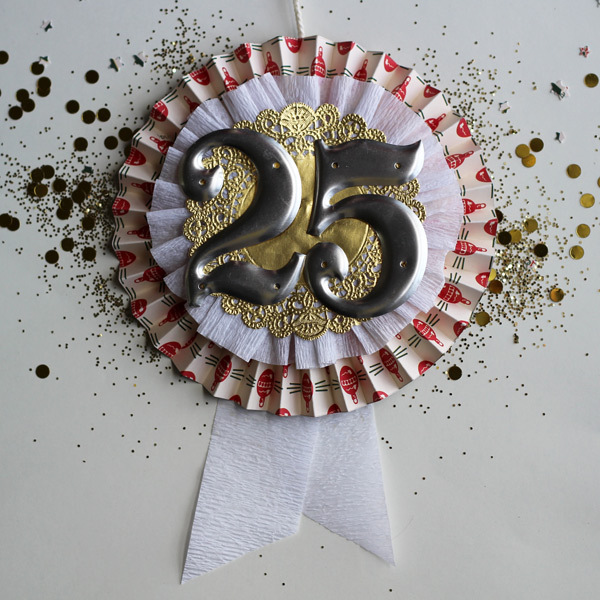 And for the grande finale, a big ol' 25 fair ribbon. 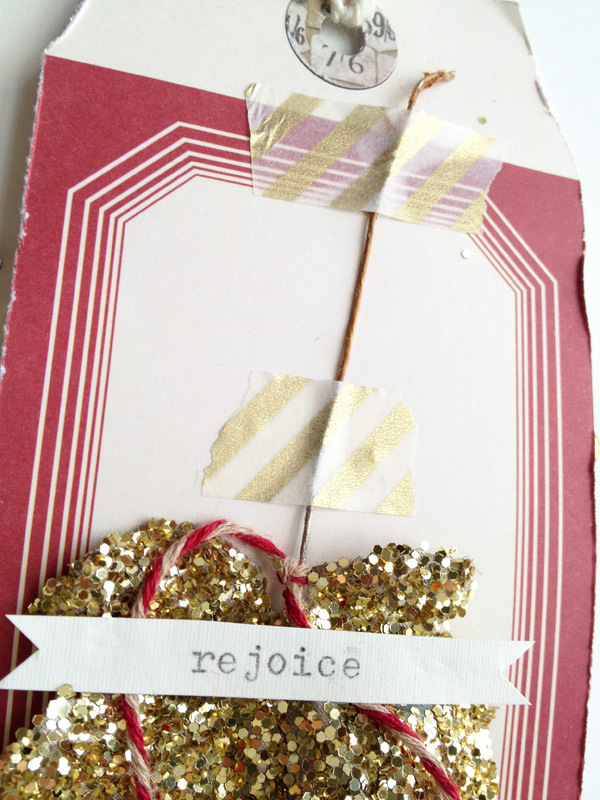 I used Jolly Saint Nick paper for the rosette and added white crepe paper and a gold doily. The numbers are some nice vintage pieces I purchased recently. I love getting to use new stuff right away!! 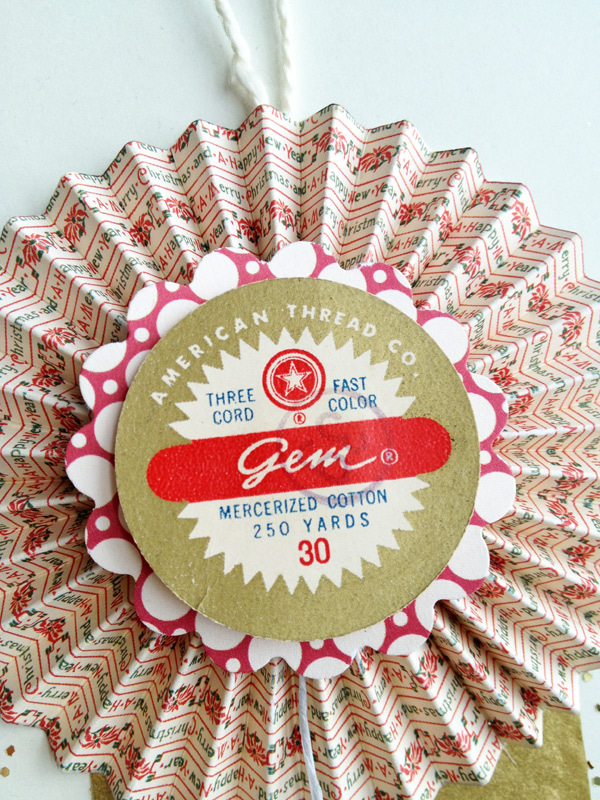 How to make this DIY folded paper rosette: Cut a 12x9 piece of paper. Score the paper every half inch across the entire length. The score marks should run ALONG the 9 inch side, and go across the entire 12 inches of paper. Then cut the paper into THREE pieces that are 3 inches by 12 inches. In order words, cut PERPENDICULAR or THROUGH the score marks, and NOT ALONG THEM. You will have three long thin pieces of paper that have score marks running PARALLEL to the 3 inch side. Then assemble as described above for the small folded paper rosette. 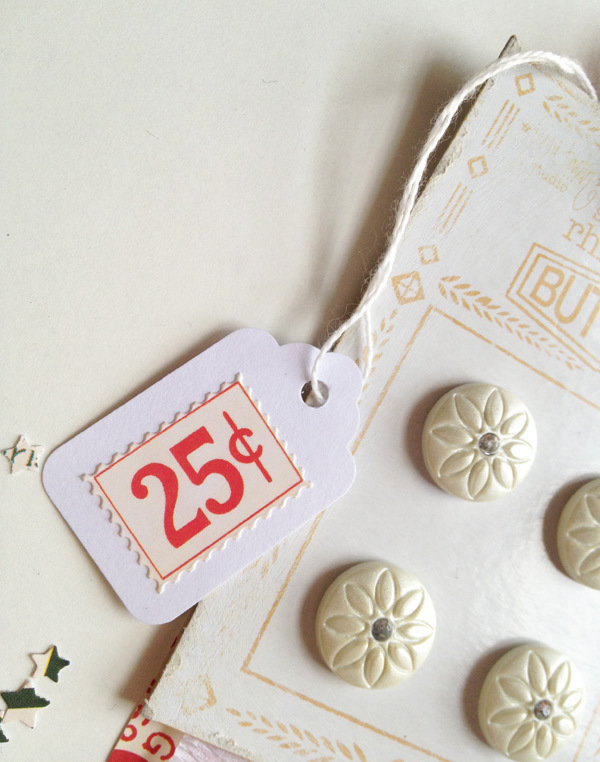 Thank you for stopping in and checking out my DIY 25 Christmas Advent tags for Jenni Bowlin Studio using the new Christmas 2012 line. This really was a fun project to put together, and I think I will enjoy using these tags for years to come. Lots of up-close detail shots of each tag are available after the jump, so click through to see more! Ooooo...going to check out the Jenni Bowlin blog, and pin these beauties to a collaborative board that was started with all the Tim Holtz tags! Thanks for the inspiration! Aww, these are beautiful! Love to find all the little details - lovely job!! this is incredible! Love every little detail! Wow! 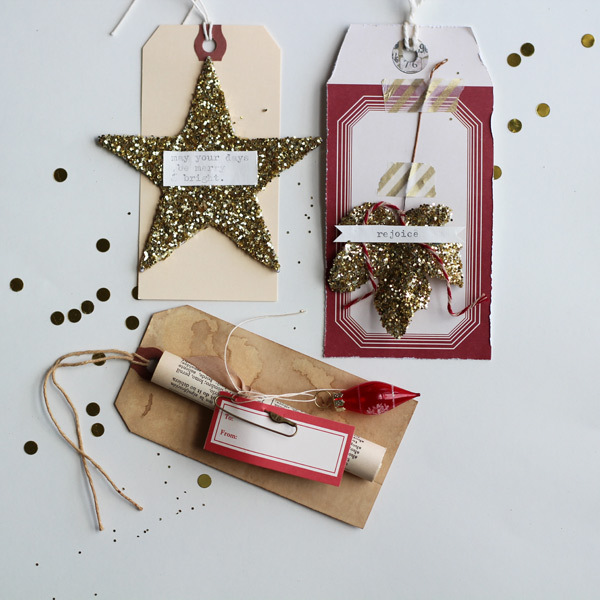 I think the little paper bag one might be my fave - it's simple, but very striking. Great work! Those tags are amazing!! Thank you for the inspiration! 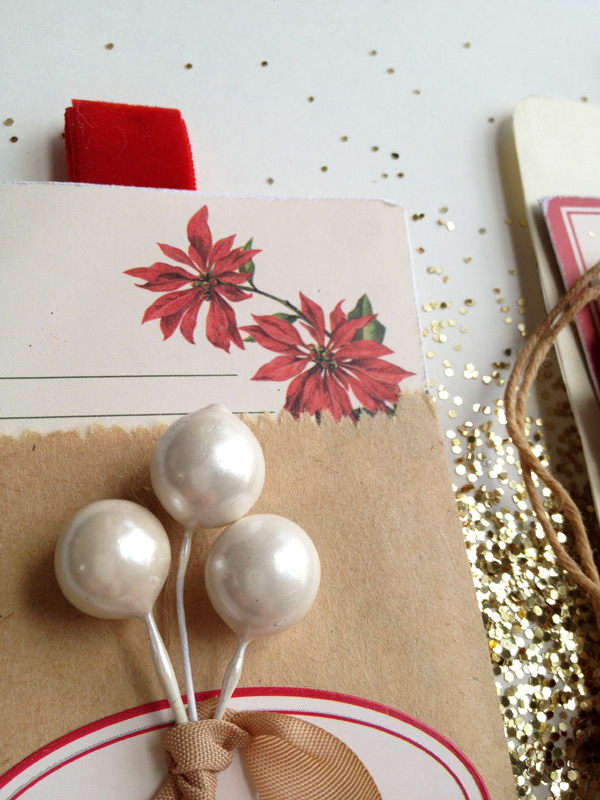 I'm going to begin on this year's Christmas tags as soon as I'm done with the Christmas cards. these tags are so awesome!! great job!! You've been a busy bee! 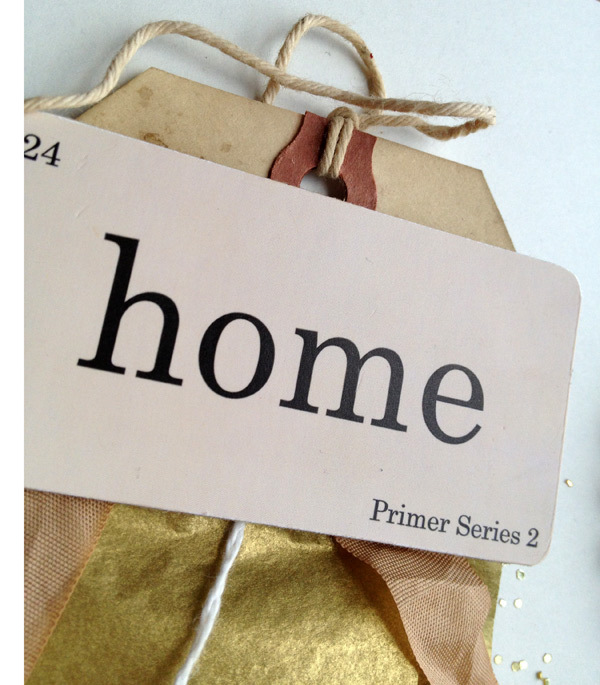 Great post, lovely tags. These are so beautiful, Ashley! 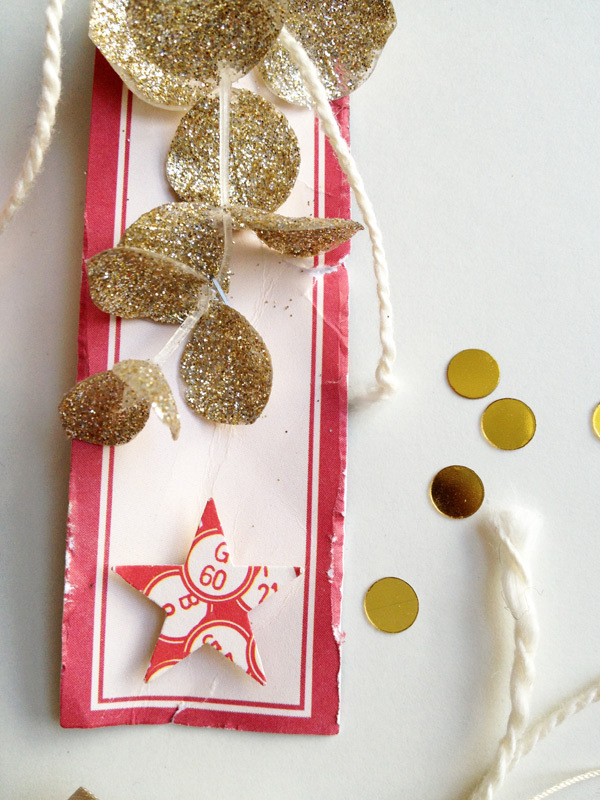 Such a fun way to countdown to the holiday! Wow, these are truly awesome! Totally gorgeous!!!! That glitter is so very yummy! Ashley these are really REALLY amazing. I've just drooled over every single one. The attention to detail is stunning, and each one is a work of art. Simply the best Christmas project I've seen so far! These are SO cool. I love absolutely love them. Some really neat ideas.